It’s 3 a.m. on Wednesday, September 26. 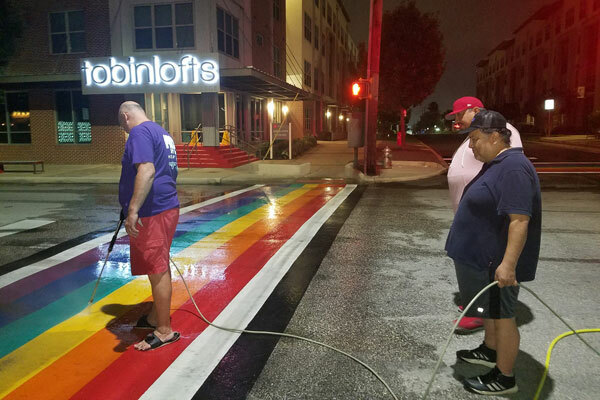 While most of the community is fast asleep, a group of volunteers is busy power washing the rainbow crosswalk at the intersection of North Main and Evergreen in the heart of San Antonio’s gayborhood. At around 5 a.m., the bleary-eyed crew is nearly finished the job, knowing they’ll be back in two weeks to begin the task anew. The group, the Guardians of the Crosswalk, was formed by Pride San Antonio to help clean the crosswalk, the colors of which tend to loose their brilliance due to weather and automobile traffic. 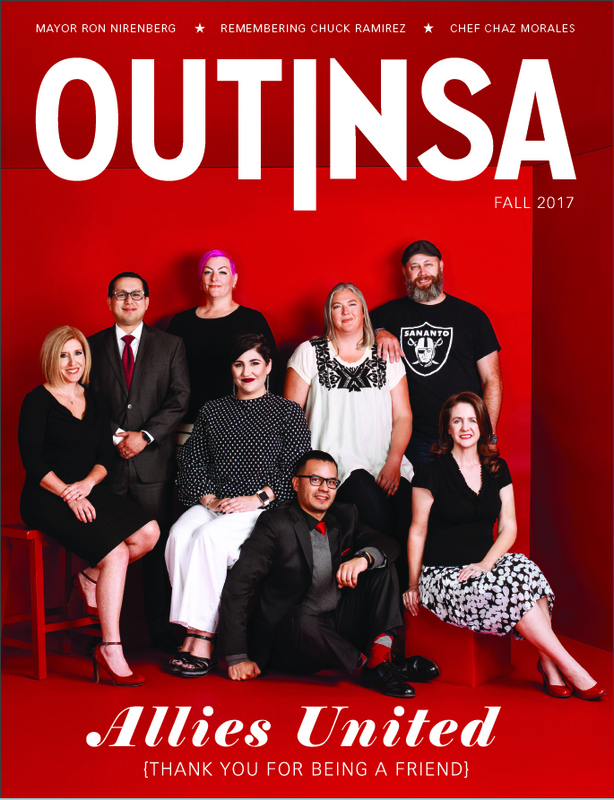 “Every two weeks the Guardians of the Crosswalk physically clean the crosswalk so we can maintain it as a piece of community art — a symbol we are proud of — one which the LGBT community proudly invested their hard-earned dollars to create,” James Poindexter, board secretary of Pride San Antonio, told Out In SA. After nearly a year of planning and fundraising, the rainbow crosswalk was installed last spring. The price tag for the crosswalk was $32,500, with the LGBT community and allies raising over half the money needed for the installation. Of the money collected, $5000 has been set aside for maintenance. A fundraising page has been started to help support the upkeep of the crosswalk. 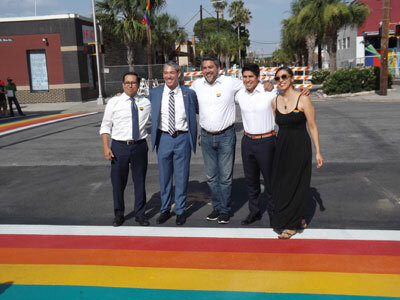 The installation of the crosswalk on June 29 was marked by a big celebration and ribbon cutting attended by State Rep. Diego Bernal, Mayor Ron Nirenberg, City Councilman Roberto C. Treviño, City Councilman Rey Saldaña, and City Councilwoman Ana Sandoval. Soon after the crosswalks were installed, employees of Luther’s Cafe, Knockout Sports Bar and Sparky’s Pub started power washing the crosswalk every two weeks. With the formation of the Guardians of the Crosswalk, those businesses will now be joined by volunteers in helping keep the colors of the crosswalk looking their best. Use this link to make a donation. If you want to volunteer to help maintain the crosswalk contact Guardians of the Crosswalk via email: [email protected].